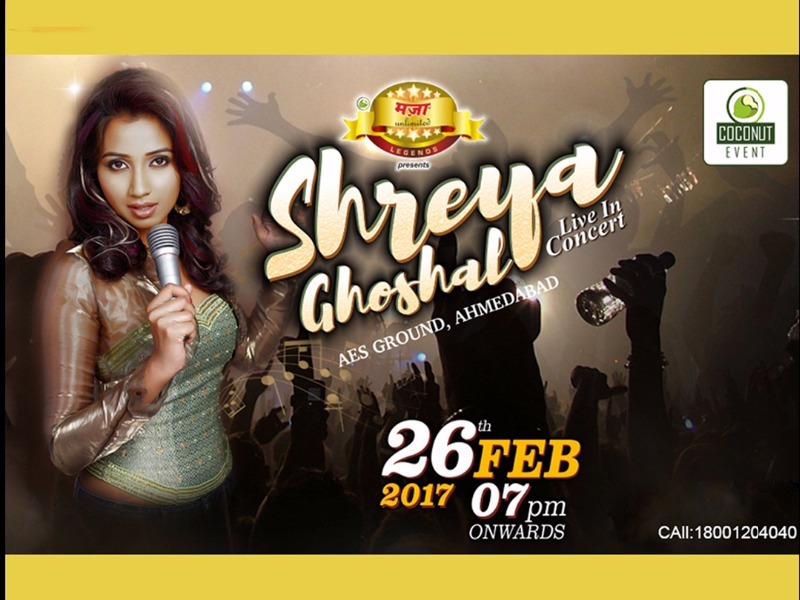 Witness SHREYA GHOSHAL LIVE IN CONCERT & be mesmerized! 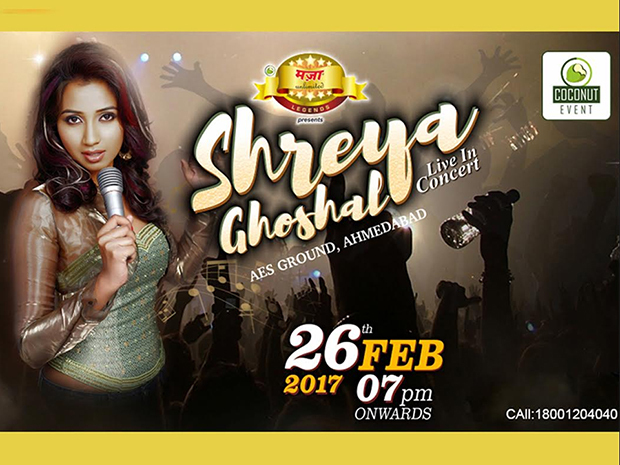 SHREYA GHOSHAL IS GOING TO PERFORM LIVE IN AHMEDABAD ON THE 26th FEB FROM 7 PM ONWARDS AT THE AES GROUND BODAKDEV AND WE ARE EXCITED! ARE YOU? Also, guess what? they even HOME DELIVER your tickets on request so that you can lounge out on your sofa in your PJ's and dream on about the upcoming evening. Brought to you by COCONUT EVENTS, this inimitable event promises to feature a set up that will rival a national level concert, a security to maintain decorum and truly enjoy in peace and ticket ranges that won't cost a month's rent! It's time to raise your hands high up in the sky and listen to the melodious tunes of SHREYA GHOSHAL! All you have to do is book the tickets and leave the rest onto them. Go enjoy a beautiful evening with your friends and family and revel the bollywood queen that Shreya Ghoshal is with her foot tapping numbers including Diwani, Sun Raha Hain Na Tu, Saibo and many more! Treat your loved ones out on this 26th and be a part of a gala you'll actually want to look forward to. Venue: AES ground, Behind Tv tower, near SAL hospital cross roads, Ahmedabad. Tags: Witness SHREYA GHOSHAL LIVE IN CONCERT & be mesmerized!